We’re thrilled to celebrate all forms of love (just check out last year’s bridal shower bonanza), but we especially enjoy when experiential gets to show its sensitive side. 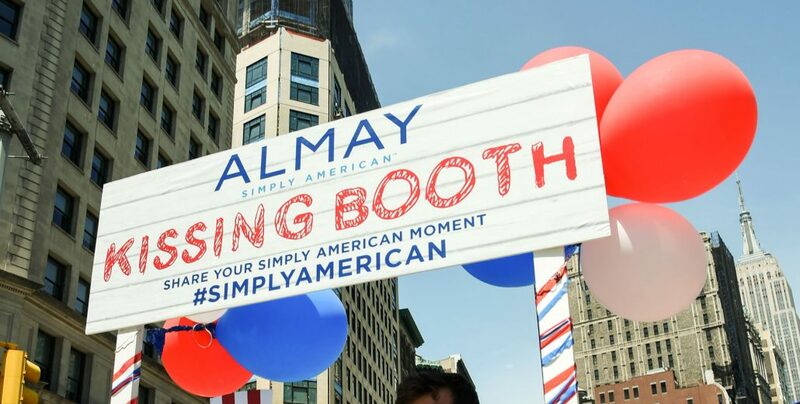 Here are some of our favorite activations, a mix of MAG-produced and others, where romance was the star of the show. As the saying goes, “First comes love, then comes marriage.” And that second step is precisely what MAG helped produce for five military couples. 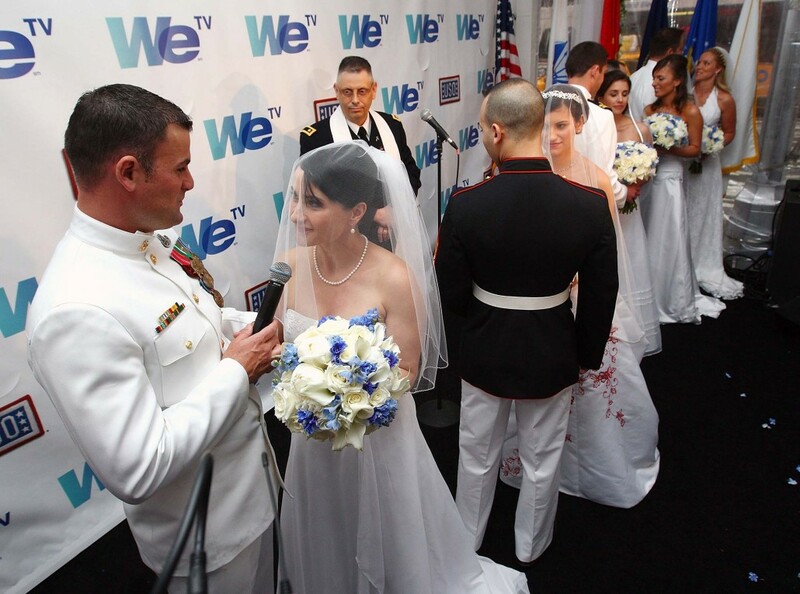 To promote the launch of WE tv’s Wedding Sunday programming, the big day became a big event in Times Square, complete with a post-ceremony reception, a military “arch of swords”, live performances, wedding cake, and “Just Married” pedicabs whisking the newlyweds away. Valentine’s Day can be a very sneaky holiday, and reservations fill up fast. In 2014, Heineken came to the rescue with its social-media campaign, #DateInABox. Frantic boyfriends could tweet the hashtag at @Heineken_US to request a prearranged date for two. They then received a red, glittery vault, with the surprise date waiting on a certificate inside. The catch? To reveal the vault’s code, gentlemen had to post a picture on Instagram, declaring their love (and forgetfulness). Love isn’t merely fun dates and big weddings. When MAG partnered with Alice & Olivia to promote the brand’s 10th anniversary, the messaging took a more provocative spin on romance with the slogan, “Get Into Our Pants.” To deliver this cheeky tagline, brand ambassadors took to swanky NYC lounges and discreetly “dropped” branded condoms for consumers to find. You typically wouldn’t associate razors with Valentine’s Day, but Wilkinson Sword UK found the perfect connection by wishing women a smooth Valentine’s Day. The brand’s installation featured an oversize male face covered with unruly “stubble”. Upon closer inspection, however, consumers discovered each hair was instead a stem, with a red rose hidden within the wall. As couples swooned and walked away this floral surprise, they simultaneously gave the install exactly what it needed: a flawless shave. Often the beauty of love is fueled by surprise (we’ve all seen this adorable proposal video, right?). Well, what could be more surprising than an instant wedding? When MAG partnered with Air France for their Instant Takeoff event, staffers caught wind of an engaged couple on-site hoping to win the trip and elope in Paris. In full experiential marketing fashion, an impromptu wedding was produced on the spot, and Air France instead sent the newlyweds away on a romantic Parisian honeymoon. 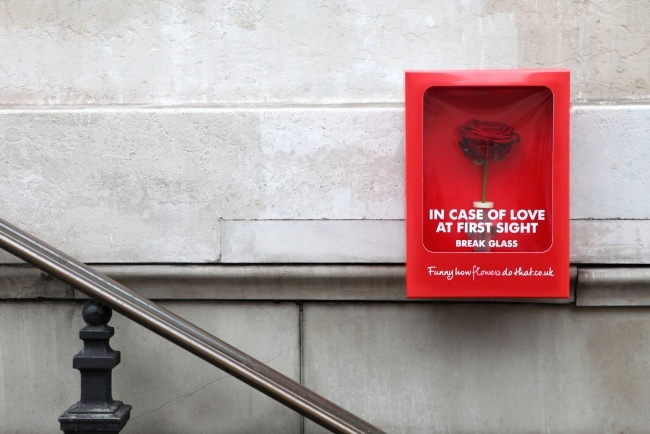 Valentine’s Day tends to cater to couples, but in 2014 the Flower Council of Holland turned its attention to lovesick singles. In Paris, the group celebrated by installing 1,500 red boxes mimicking emergency boxes (those you might see holding a fire extinguisher) throughout the city. These boxes, however, carried a single red rose with the message “In case of love at first sight, break glass.” While we aren’t certain if these sparked any long-term love, they were a delightful surprise for many and hopefully won a few lucky people a first date. Whether you’ll be snuggling with your sweetie or simply going about your day, the michael alan group wishes everyone a Happy Valentine’s Day. And if you catch wind of any amazing candy sales, be sure to let us know. The michael alan group is a full-service experiential marketing agency & event production company. Check out our work and our team, and drop us a line to chat about igniting romance at your next activation.